Puget Sound's In-Home Surface Solution Company. Surface Renew offers every kind of replacement, resurfacing, repair and maintenance service you can dream of for apartment, commercial and residential properties! Our resurfacing, replacement and repair services include countertops, bathtubs, fiberglass bathtubs, bathtub surrounds, fireplaces, cabinets and much more! If you have a countertop that just isn’t the right color, or a dated shower that could use some life, call us up. We have found a way to provide competitive time and costs to the market without involving shortcuts or jerry rigging, because that just isn’t our style. We also offer financing for larger projects. Our process involves using the most sustainable methods and the highest level of safety every single time. We care about our clients while also caring about our team members, because the end result isn’t the only part that should be enjoyable. We pride ourselves on solving your problems. Our technicians are experienced in all aspects of resurfacing. Solid colors or multi-colored resurfacing to update the surfaces. Doors, Drawers, Cabinet boxes inside and out. We offer non-skid bath mat applications before we resurface the tub or if you just want one applied for the safety of the tenants. Our team will tackle any home maintenance needs for you. From fixing damaged drywall, repairing decking, appliance change-outs, and much more. Contact us and let us see how we can help today! Tired of looking at that chip on your tub or sink? Did your contractor do some damage during construction - We have you covered. We specialize in repairing eyesores and saving you money. Our custom color matching allows us to repair your damaged areas and make them disappear while making a smile on your face appear! 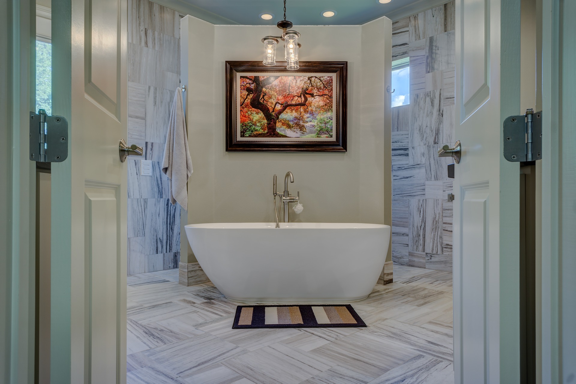 Most common with fiberglass tubs - Squeaky tubs are a result from lack of support under the tub or the building has settled in a way that the bottom of the tub no longer rests on the subfloor or support brackets. We can fix the obnoxious sounds your tub is making in just 2 days! After you chose your new style - we measure, order, and install new cabinet doors/drawers for you. 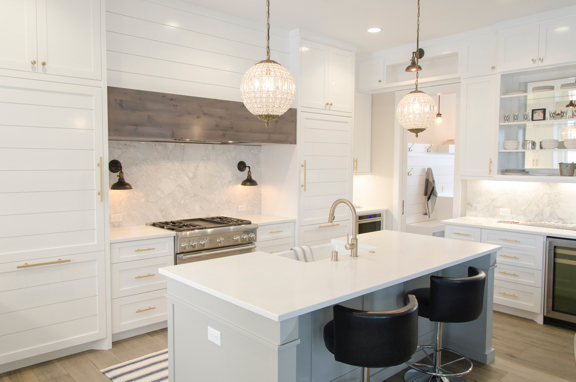 No need to replace all your cabinets - We save you thousands by color matching the style you chose and refinish or re-laminate the cabinet boxes to match your new doors. Time to brighten up your bathroom experience with a new centerpiece. We offer no-seam one piece laminate surround replacement and one-piece Corian surround replacement for a high-end look. If you are on a tight budget we also offer a 3 piece acrylic surround option. All of the options will make your space look and feel brighter and better. Fiberglass, Porcelain or Steel tubs are available for you to chose. We support the bottom of your tub to ensure structural integrity. ADA options available as well for your special projects. We offer start to finish laminate, granite, and solid surface countertop replacement. Great turnaround times to keep you on schedule and on budget! Cost effective and a beautiful accent to any space. Planks and Panels come in a variety of wood, stone, and decorative finishes that will add some pop to your space. This service is great for office spaces, restaurants, retail spaces, or any space you would like to make a statement. Need to update your common areas – we can update common area bathroom partition walls to save you on the cost of replacement. We can help you with our drywall repair services. We repair the holes properly and texture the repaired areas to match what you already have. Is your deck surface needing some love? Surface Renew can repair, replace, or cover your deck with a new surface so you can enjoy being outside again.